A leader is known by his/her advisers. The policies the leader is likely to pursue are telegraphed by what these advisers may have said and written. Should the Pakistan Tehreeq-i-Insaaf (PTI) party win the general elections on Wednesday, July 26, Imran Khan will be installed as Prime Minister. Every one expects this will happen, considering he is the Pakistan Army’s candidate, as Nawaz Sharif once was, and that the ISI will ‘work’ the levers to obtain the desired result. In which case, the person to look out for is the irascible Shireen Mazari, a Pathan, who once threatened to take another female PTI party-mate to a tribal jirga for purveying falsehoods about her. Mazari was Director-General of the Pakistan government funded thinktank, Institute of Strategic Studies, in Islamabad, in 2000-2008, and is PTI’s ‘Information secretary’ and advises Imran on foreign and defence affairs. She may well be his choice as NSA or Pakistan’s Foreign Minister to pit against Sushma Swaraj or, alternatively, even defence minister. In either case, Delhi should be prepared for the hard line. The Imran Khan attending conclaves held by media houses in Delhi in the past is not the Imran Khan who will become PM. He will mirror the Pakistan Army’s views and act as the guardian of its interests. He is likely to toe a very tough line that Mazari and Army propound generally and vis a vis India. 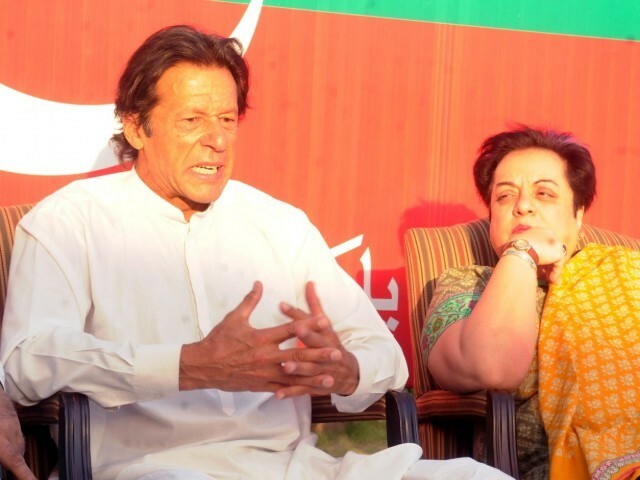 Mazari has led the campaign waged by Imran since 2013 to end all US drone strikes in the Khyber-Pakhtunkhwa (KP) province. She was very vocal on this issue, charging the CIA director John Brennan with “committing murder and waging war against Pakistan” and demanding the interrogation of the then CIA station chief in Islamabad to ascertain the identities of the pilots controlling the drones that eliminated Hakimullah Mehsud and struck a seminary in Hangu Dist in KP, killing a spiritual leader of the Haqqani network. Indeed, Mazari publicly criticized the Pakistan Army for not shooting down American drones. It is certain, a PTI government will seek an end to all US drone strikes inside Pakistan, while countenancing such hits on Taliban targets within Afghanistan. On nuclear matters, Mazari is an out and out hawk, lauding the Pakistan Strategic Plans Division (SPD) for its India-centered approach. In a compendium of research writings on ‘Arms Race and Nuclear Developments in South Asia’ published in 2004 by the Islamabad Policy Research Institute, in a companion piece to my research paper deconstructing the Indian nuclear doctrine, Mazari had revealed SPD’s thinking and the likely nature of the build-up of Pakistan’s nuclear arsenal. She made clear — and this was the most important revelation, particularly in hindsight that “If India seeks to opt for an even-spread amongst its nuclear triad of forces, then Pakistan needs to have an edge on land-based developments in terms of numbers.” Except, the Indian nuclear weapons mix, evenly spread or not, triggered the rapid enlargement of Pakistan’s stock of short-range tactical missiles in the last 15 years — with the supposedly nuclear-tipped Nasr 40mm rocket inducted in large numbers as that country’s calling card. This development of Pakistan seeking a missile edge over India has validated Mazari. I am personally acquainted with Shireen Mazari owing to the seminar circuit I was active in, in the last decade. As a realist she seemed motivated by notions of hard national interest, and always interpreted Indian actions and moves in the most negative way. It strikes me that for these very reasons, the PTI regime would happily negotiate — as she has advocated — conventional military draw-downs with India. This may be no bad thing for the Modi government to try and negotiate in good faith as a means of stabilizing the border, the subcontinent’s security situation, and finally reorienting the Indian armed services to the only credible threat and military challenge India faces — China. Such a modus vivendi will lead naturally to the two sides accepting the solution for the Kashmir dispute offered in 2007 by Gen. Musharraf — Mazari’s one time chief patron. This will necessarily require something I have long advocated — collapsing the three strike corps into a single composite armoured corps with several independent armoured brigades, and otherwise shifting the manpower and usable materiel assets to forming three offensive mountain corps for the China front. In practical terms, this could mean ‘compositing’ II Corps and converting the Strike Corps — I and XXI into offensive mountain warfare formations. There’s no more sensible option for effectively using the Indian defence rupee which otherwise is annually squandered in upkeeping the army’s cash-guzzling 3-strike corps complement. But will the BJP government negotiate such draw-downs? Apparently not, And for all the obvious reasons of retaining Pakistan as a convenient foe to beat up on for domestic political benefits. This entry was posted in Afghanistan, asia-Pacific/Indo-Pacific, Asian geopolitics, China, China military, civil-military relations, Culture, Decision-making, domestic politics, Geopolitics, Great Power imperatives, India's China Policy, India's Pakistan Policy, India's strategic thinking and policy, Indian Air Force, Indian Army, Indian democracy, Indian ecobomic situation, Indian Politics, Internal Security, MEA/foreign policy, Military Acquisitions, Military/military advice, Missiles, Nuclear Policy & Strategy, Nuclear Weapons, Pakistan, Pakistan military, Pakistan nuclear forces, SAARC, society, South Asia, Strategic Forces Command, Weapons. Bookmark the permalink. The very reason why Pak Mil is planning to install Imran Khan as the PM is to be sure that the civilian Govt will not interfere with Pak Mil on matters Security, India, Foreign Policy & Nuc issues. There is no question of Imran Khan or Mazari entering into these domains even as sidekicks. It would seem to me that the hardline Mazari is a mouthpiece of the military, and might thus be one of their channels to Imran Khan, rather than some wholly independent counselor. I agree that the Pak military jealously guards full control over security & foreign policy as their fiefdom, and yet the noisy ego-centric Khan will likely at least try to create an image that he is doing big things, including big foreign outreach moves. His vanity will allow no less – and perhaps that may become his undoing. Here is a meta question about the overall nature of Indo-Pak relationship since 1947. Why have most Indian politicians been so desperate to have a “good” relationship with Pakistan? It is not as if India depends on that country for any important resource, commodity or service. Also, the majority in that country no longer see themselves as Indic- so let become whatever they crave to be. Perhaps, they just like to eat whatever falls off their Saudi and Chinese master’s table..
To be clear, I am not suggesting that people in India hold ‘two minute of hate’ rallies against that country. But, why maintain anything beyond a strictly transactional relationship with them. What is stopping the Indian establishment from treating them as an irreconcilable enemy with whom they unfortunately share a boundary. Why obsess over a country 1/8th the size of India? Sure.. they have nukes. So do we and as long as it is clear to them that we will use them to the fullest extent if attacked, it is just classical nuclear deterrence. Perhaps reducing all interactions, exchanges and visits to and from that country to the absolute bare minimum is the way to go. Treating members of their armed forces in the same manner they treat ours would also be a good idea. Consistently identifying and targeting their local collaborators in India is also desirable. AD@ — We have a territorial dispute with China but trade with it, and generally carry on. Why can’t a similar multiple track relationship be pursued with Pakistan with whom India has far greater geostrategic convergence of interests versus zero with China? For 70 years now instead of co-opting Pakistan with economic and trade deals they cannot refuse, Delhi is happy to fall in Beijing which means this country ill.Have never understood this aspect of Indian foreign policy and no one but nobody has been able to explain the logic behind India’s unremitting adversarial posture towards Pakistan when there’s a genuine security threat and challenge looming over all of the subcontinent. Perfect illustration of what the great geopolitics pioneer Halford Mackinder called the absence of “the map reading habit of mind” — a phrase I have often used in my writings to highlight the lacunae in threat our perceptions. I see Pakistan’s innate sectarianism as a fundamental threat to India. China mainly sees us as a backward neighbor on their far periphery, not nearly as relevant as Japan or other eastern neighbors, where their main focus of attention lies. We are only now becoming more relevant because of their new global trade initiative. By the way, what do you think of their recent shift towards building up a large amphibious marine contingent – what threat does it pose to the A&N islands? China poses a greater threat because of its size and capacity, while Pakistan poses a greater threat in terms of their sectarian irredentism. It’s a fundamental mistake to downplay irredentist ideology. The Pakistanis cannot take a harder line against India than they already are taking short of Nuclear war. India in turn has to make it clear that Kashmir is non-negotiable. The infiltration is bound to continue. We need to settle a 10 km belt of ex-servicemen/ex-CAPF along the LOC to arrest the impact of infiltration. It is also necessary to exile the Anti-National Kashmiris. Terrorism is big business. This business has to stop. Any Indian leader will be reluctant to engage in military brinksmanship with a nuclear-armed rogue state, even with an idealized efficient composite strike corps. That being said, every time there’s a change of the guard in Pakistan, be it a new COAS or a new PM, then we quickly see a massacre in J&K carried out by their hidden hand. So I think our vigilance has to include keeping a hammer raised and ready to bring down on them, when the newly ascendant Pak elites inevitably decide to burnish their credentials by killing our people with impunity, as part of some rite of passage. But which is the best hammer to hold over them? Is it really a blitzkrieg hammer that works best to deter them – or wouldn’t it be the surgical strike type of hammer that works best? I think that any major Pak terrorist act should be quickly responded to by covert bloodletting against them, by striking their military families or whoever is closest to the policymakers that can communicate pain to them. Imran Khan prides himself on being a Pathan, but yet he’s really a Punjabi with nominal ties to the Pashtun identity. He has no solutions to Pakistan’s problems, whether its lousy economy or the praetorian hand of its military. Since he is a new and untried leader without any credible track record or enduring base, it may be better to aggressively find ways to humiliate him in front of the Pakistani people, so as to leave him twisting in the wind. He has no real power, and is a quisling of the military – they only need him as their figleaf. There will be tangible benefits from cultivating ties with Pakistan’s traditional political parties who have been robbed of their political mantle by the military’s vote-rigging. Unlike the hollow Imran Khan, these parties do indeed have a real popular base – one which could be mobilized against the military’s latest stooge ruler. This is a key vulnerability we must not pass over. There are also other levers – India’s recent kowtowing to the US on Iran will no doubt ingratiate us to the Saudis, who are friendly with the Sharifs and still have some leverage with Pakistani society. We need to make overtures to the Saudis to use their good offices in brokering a rehabilitation of the Sharifs, so that the Pak military can be put on the back foot. The punjabis really are the problem both in Pakistan and India – real useless clan of no history . Punjab was the main area of clashes between Islamic and pre-Islamic/Vedic settlers/invaders.